Mummy Griselda's birthday and baby Johanes's birthday are quite closed (and having same zodiac ie cow). 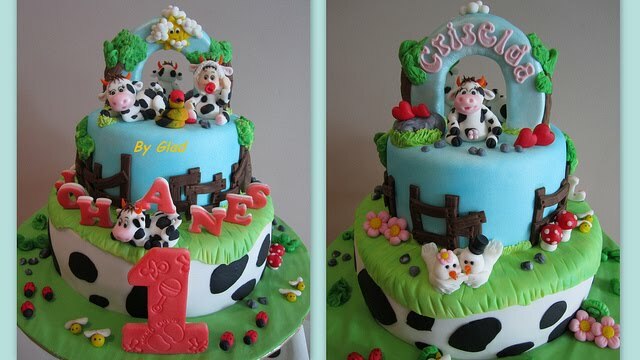 Hence the cake is made with two sides, one side for Baby and the other side for Mummy. The snake (see next picture for snake with diff angle) in between baby wearing cow suit and mummy cow represents daddy in the family. 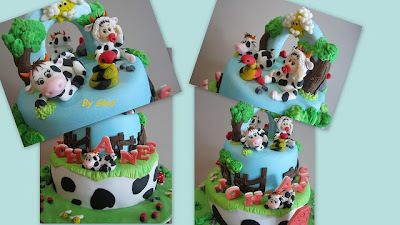 I only committed to this cake for December 2010 as I will be away again which the date is not very certain yet.... Sorry for those that I have to turn down your requests.